Teachers across the country have stood up to fight for the resources, pay and funding they deserve. Most notably, 60,000 public school teachers in Arizona staged a walkout in early May, along with librarians, staff and administrators, to fight for higher pay and better funding for schools. The walkout in Arizona was followed by waves of walkouts by teachers throughout the country in states such as West Virginia and North Carolina, where schools were closed and the the sheer magnitude of the walkout and cries for the betterment of school funding were echoed around the country. 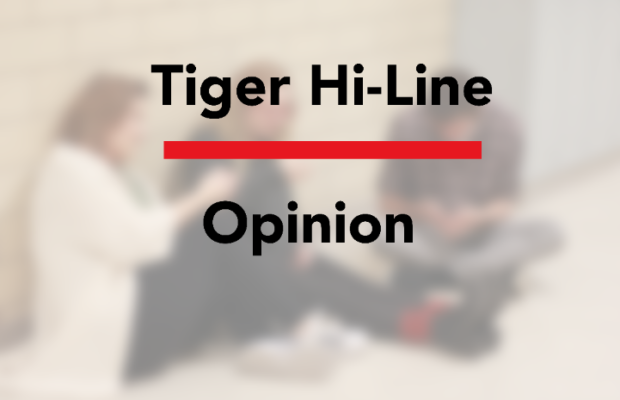 The Tiger Hi-Line supports teachers and staff everywhere who are in ongoing struggles to secure sufficient funding, salaries and benefits so that they can do their jobs and put students on the path to success. Our teachers and school staff work around the clock to give their students the best they can. Many resort to buying their own materials to make sure their students have the appropriate resources, even without compensation. Teachers invest so much into their jobs and the lives of their students that it is only fair that we provide for them. In our own community, teachers and staff have been in ongoing contract negotiations with Cedar Falls Community School District. Iowa recently eliminated its public sector collective bargaining law, and school districts and employee unions are required to negotiate base wages. This means that the unions that many teachers belong to are no longer allowed to negotiate things other than their wages, forcing them to disregard important aspects of their jobs like health care, safety and work load. To complicate the matter further, the public education funding of Iowa has been reduced drastically over the past few months, and growth of Iowa public schools has stalled. Cedar Falls is also a rapidly growing school district and has had difficulties balancing the allocation of money between resources necessary to maintain the growth of the schools while paying teachers. The negotiations of contracts have long been an important part of teachers maintaining their voices in the workplace. Without collective bargaining, teachers are faced with the decision to accept the terms that their employer determines or not have a job. It is important to remember that there are struggles that teachers and staff must face regarding their jobs beyond grading our tests and projects or helping us fix our Chromebooks. The district should truly appreciate teachers by maintaining the benefits that they have negotiated over decades.